Italian cypress trees are an evergreen variety that grows in a columnar shape up to 80 feet in height. Prune the tree to maintain the height and build a strong tree that withstands winter conditions that may cause damage. Choose to prune the Italian cypress branches during the dormant season to lower the chance of disease entering through open wounds. Never prune more the one-quarter to one-third of branch growth each year to prevent excess stress on the tree. 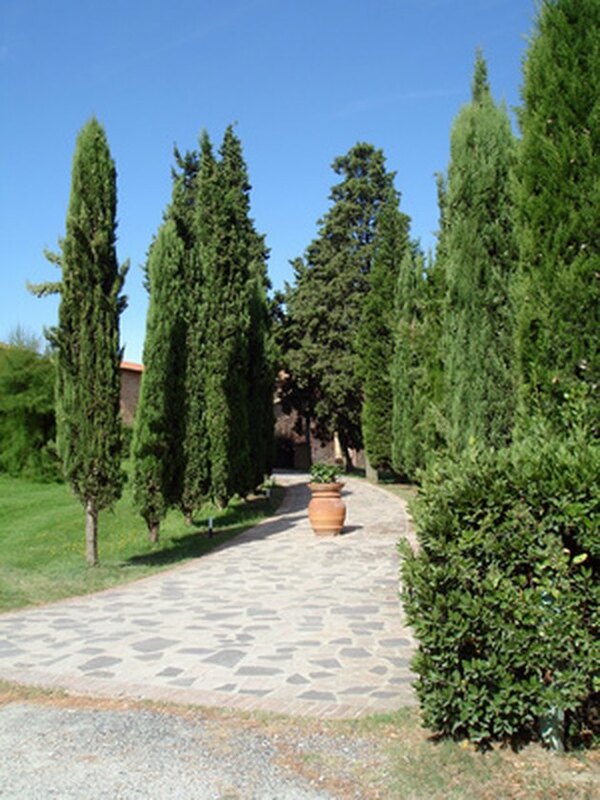 Italian cypress trees grow quickly into a tall columnar shape. Prune all terminal bud growth from the Italian cypress branches in the first growing season after planting. Terminal buds are soft foliage buds that form on the ends of branches. Pruning these will reduce heavy branch growth that damages the tree. Prune young Italian cypress trees to remove multiple main leader stems so there is one central leader with multiple offshoot branches. One central leader will form a strong tree. Prune long branches that are drooping from winter damage in early spring, while the tree is still in the dormant stage. Cut the branches at a joint where another strong branch is growing. Prune foliage from the top of the tree to reduce the Italian cypress' height while the tree is in the dormant stage. Use a hedge clipper to prune the foliage and form the tree into a desired shape. Repeat this step annually to prevent excess growth. How Tall Do Rose Bush Trees Grow?